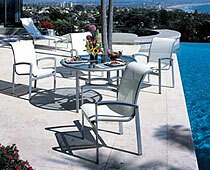 Commercial Outdoor Furniture at Guaranteed Lowest Prices! 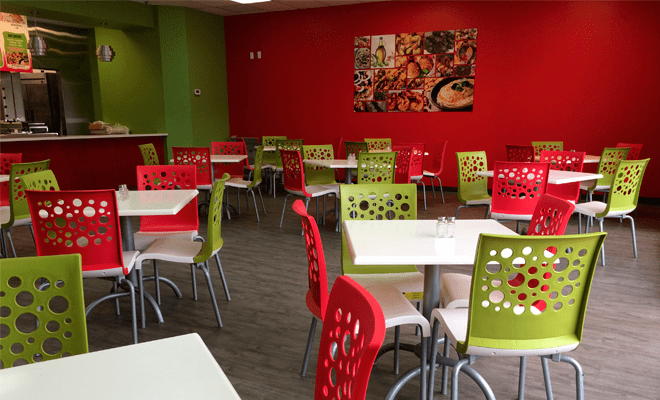 Resort Contract Furnishings is one of the largest and most reputable Grosfillex Contract dealers in North America for over 20 years. Our successful partnership with Grosfillex combined with our superior buying power enables us to ship product from our PA warehouse within 3 business days. We proudly sell this premier commercial grade product, featuring a 5-year commercial warranty to the hospitality industry nationwide. We are building and shipping from either Florida or California within 4 weeks. Many skilled hands are involved in crafting the award-winning designs to the highest quality, desired luxury and ultimate comfort possible. From their intricate aluminum castings or extrusions to the multi-stage finishing; from the artisan applied antiquing to the all-weather cushions; Castelle’s goal is to deliver handcrafted casual furnishings without equal. Whatever your design style, CASTELLE has collections for you including resort or romance, transitional or avant-garde, vintage or classical, contemporary or city chic. If you are creating an elegant retreat or a poolside oasis, Castelle’s goal is to provide outdoor décor that is a personal reflection of you. The custom capabilities, incorporating thousands of design, finish, fabric and accent options, are what set CASTELLE apart from the rest. 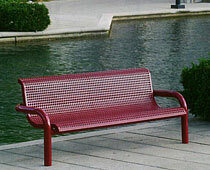 Kettler is a German made and engineered line of commercial grade wrought iron furniture. 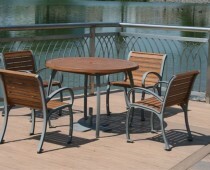 Kettler is an excellent choice for any outdoor restaurant seating area and is moderately priced. Kettler features a special paint coating process that enables us to offer a 5 year structural and paint warranty. 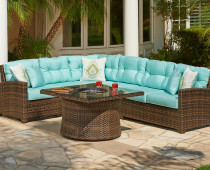 Resort Contract Furnishings has this product stocked and ready to ship from Virginia. Functional, Elegant, Eco-Friendly – always reliable without the high price. 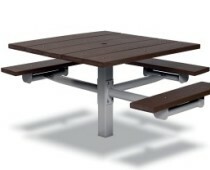 Wabash Valley offers a large selection of tables, chairs, litter receptacles, planters and more. All are available in numerous styles, colors, and finishes to fit whatever your need. Wabash Valley is the flagship line of Plastisol coatings. Urbanscape is the powder-coated product line & Green Valley is an environmentally friendly line that offers the look of wood. 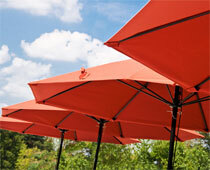 Shademaker has been the premier manufacturer of Large Cantilever and Center Pole Umbrellas for over a decade. 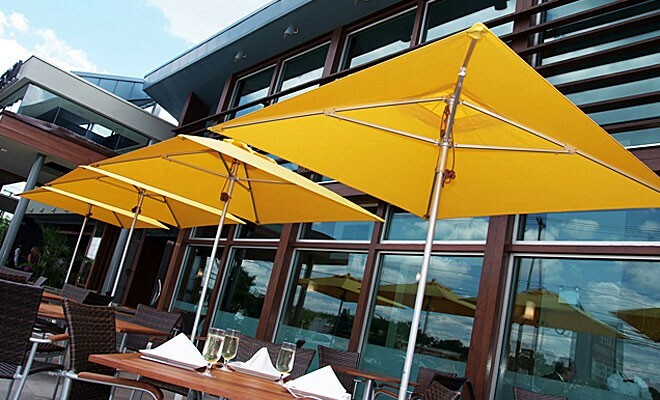 Resort Contract Furnishings has supplied this premier shade product to the finest restaurants, resorts, and country clubs in the nation for over a decade. We offer more than 20 innovative styles and 40 distinctive configurations to choose from. Shademaker is manufactured and ships from CA within 4 weeks. 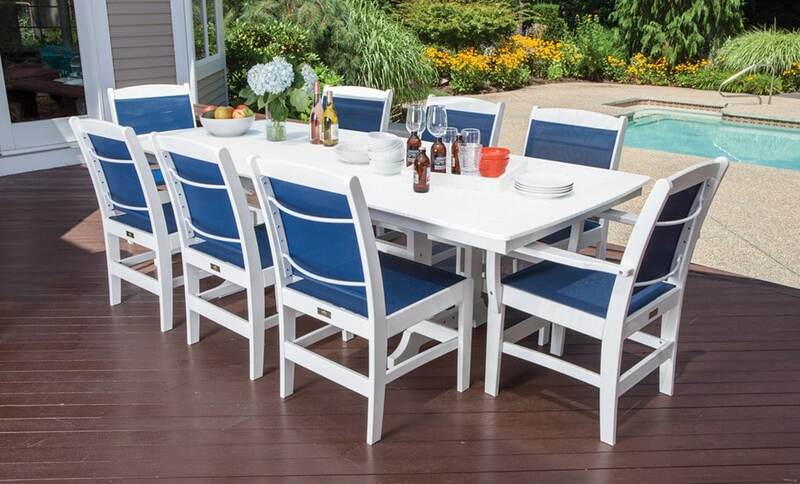 Malibu Furniture is made from a High-Density Polyethylene (HDPE) which is recyclable plastic. 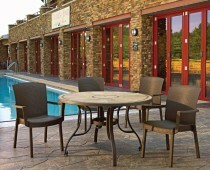 Malibu prides itself on producing a product that is not only beautiful and durable but also environment-friendly. 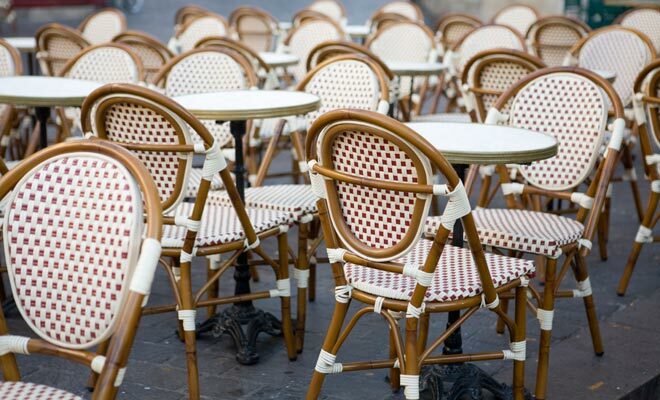 We all know the importance of first impressions, in most instances your outdoor restaurant seating is your customer’s first impression. 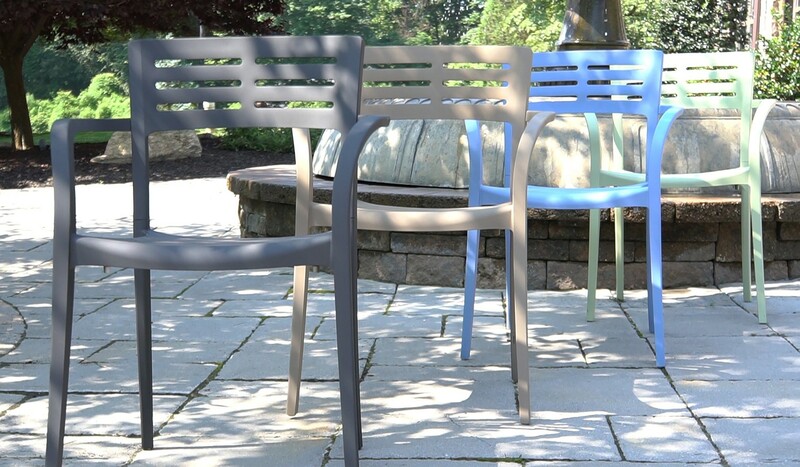 Our selection of commercial grade furniture allows you to choose the perfect set that will meet your guest’s desire for safe and comfortable outdoor dining seating. 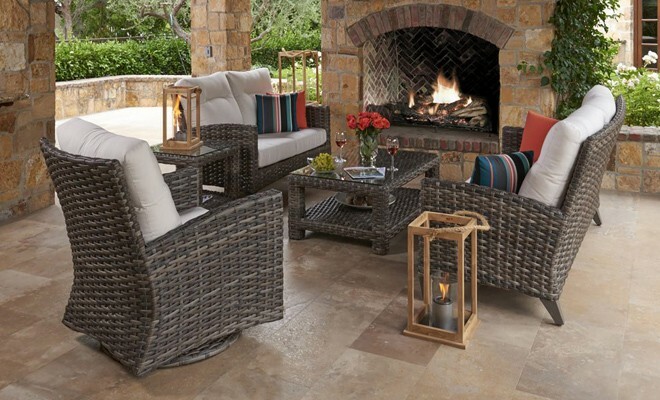 Our selections include all-weather wicker, aluminum, and resin options. All products are manufactured using the highest quality materials to ensure long-lasting durability. 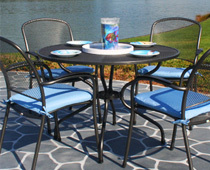 All Resort Restaurant Seating products are stocked and ready to ship from Florida. 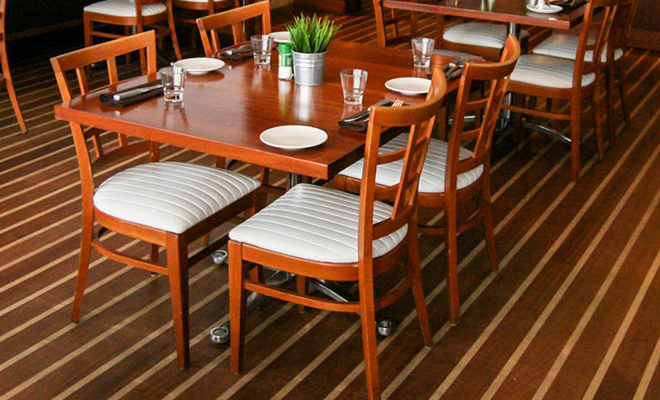 Resort Contract Furnishings offers a quality product at a great value with our Interior Restaurant Seating. Made with solid European beechwood construction and American made hardware. Due to our quality of materials used we are able to offer a 5-year commercial warranty. 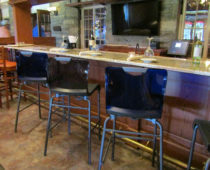 We offer an extensive line of chairs, bar stools, and tables. 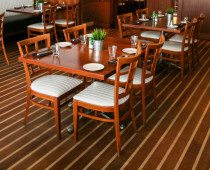 All Resort Restaurant Seating products are stocked and ready to ship from Florida. Made in America means quality, performance and many available made to order choices. 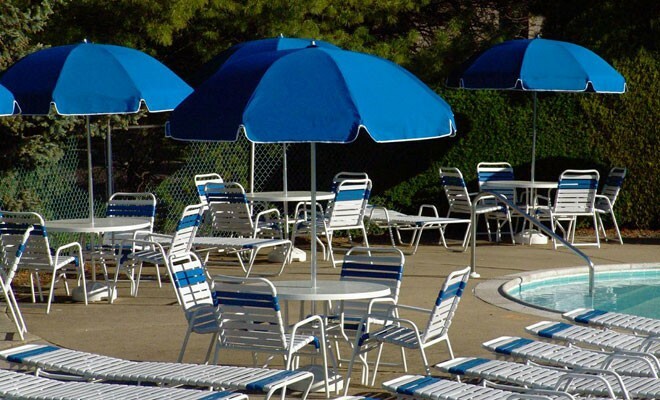 Resort Contract Furnishings Poolside Furniture has the right product for your Resort, Country Club, Swim Club, Water Park or anyplace where true commercial grade products are required. 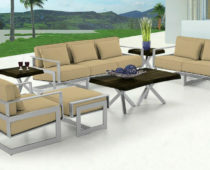 Our furniture comes with a 5-year commercial warranty and is manufactured and ships from Florida in 4 weeks. Deep Seating All-Weather Wicker has become extremely popular in the hospitality industry and is perfect for indoor or outdoor seating areas. 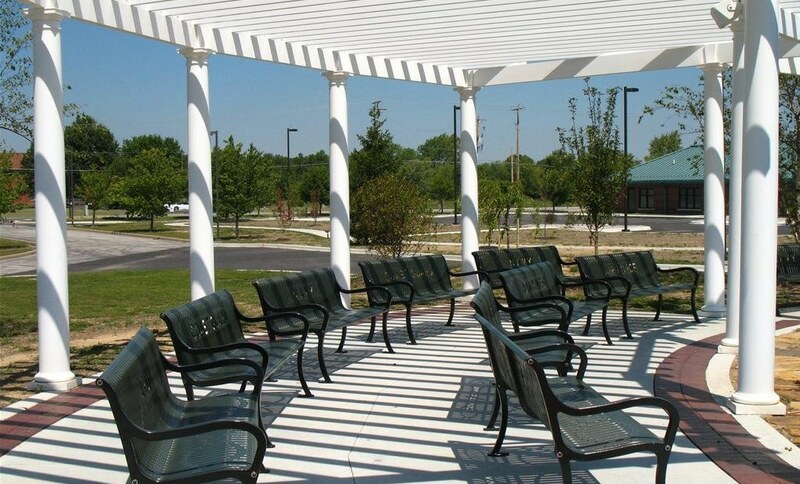 Commercial grade products like ours will have an aluminum under-structure and the weave is a high-density polyethylene allowing for no rust and a weave that will not come apart or deteriorate in the elements. We offer a 3-year commercial warranty. This product is stocked in our Illinois or NJ warehouse and ships in 2 to 3 weeks. 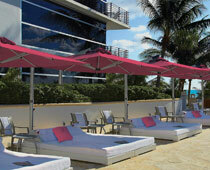 Resort Contract Furnishings offers American made commercial grade umbrellas and weights for all of your needs. Using the finest materials and technology available in the industry we are able to offer a 3-year commercial warranty. 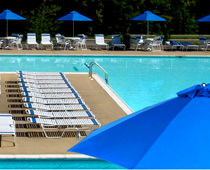 Our umbrellas are manufactured and ship from NJ within 2 weeks. 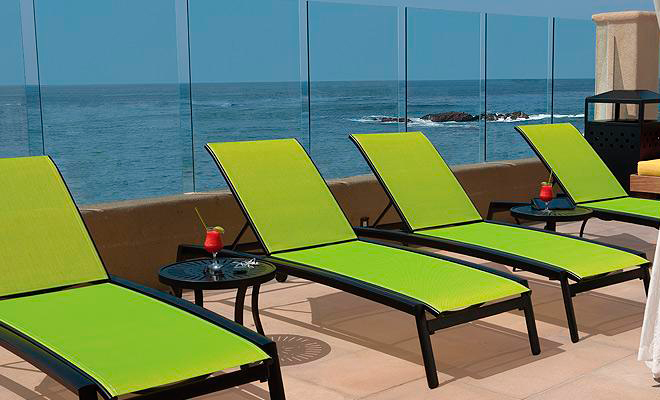 As your premier source for commercial outdoor furniture, Resort Contract Furnishings is committed to providing our clients with a wide range of high-quality furniture from reputable, trusted brands. Our mission is to provide a great selection, exceptional value, and dedicated customer service and support. We offer a wide range of products from factory lines such as Grosfillex®, Tropitone®, Wabash Valley®, Malibu®, Castelle®, Kettler® and Shademaker®. 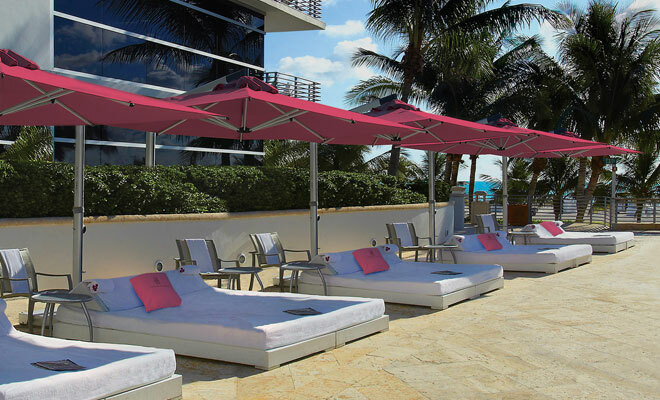 We also offer our own line of outstanding commercial furnishings at an excellent value in the following categories: Resort Exterior Seating, Resort Interior Seating, Resort Poolside Furniture, Resort Wicker Furniture, and Resort Umbrellas & Weights. 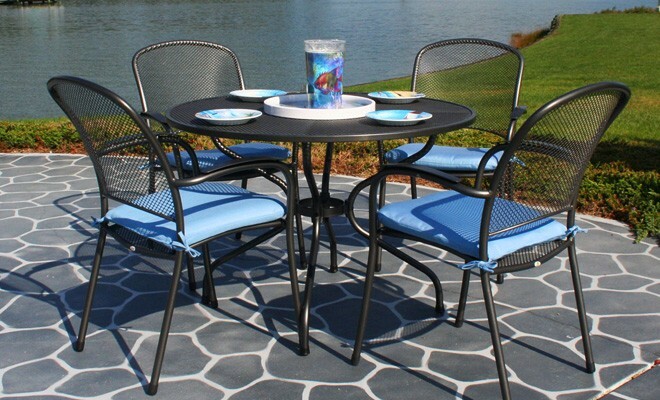 These products offer our customers the versatility and durability that their guests will truly appreciate. 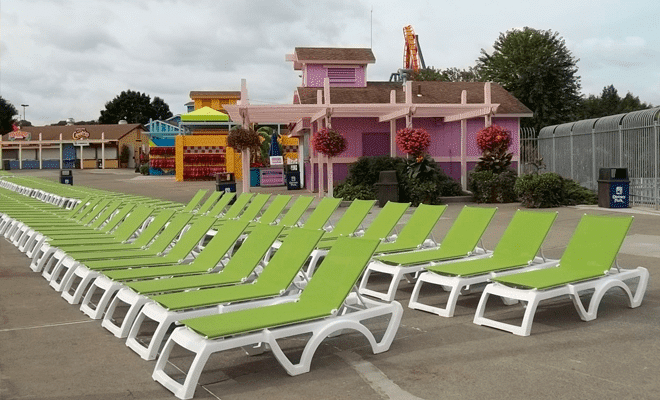 In addition to the wide selection of name brand products, Resort Contract Furnishings also manufactures our own line of commercial outdoor furniture including resort restaurant seating, resort poolside furniture, resort wicker furniture, and resort umbrellas and weights. All products are manufactured with the assurance that our customers will receive a product of high-value utilizing durable, long-lasting materials. We invite you to browse through our site so you may learn about all the different options, configurations, colors and style variations of available products. 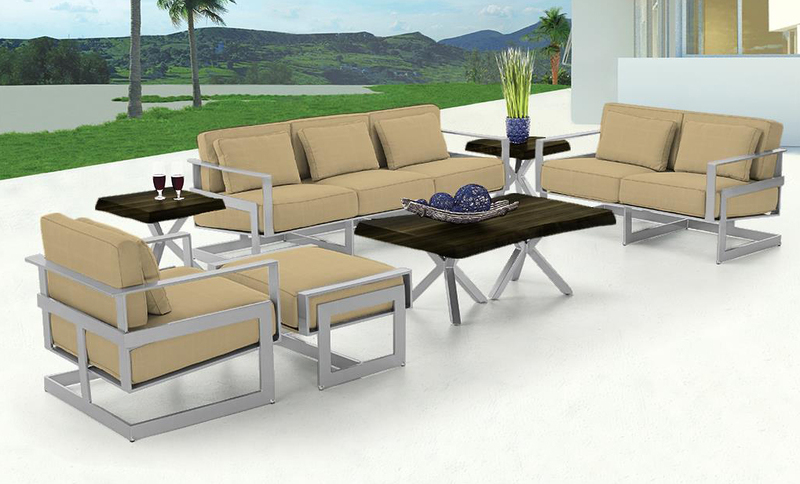 Once you have established your outdoor furnishing needs and learned how Resort Contract Furnishings can fulfill them, please complete the form that can be found on our Contact Us page. 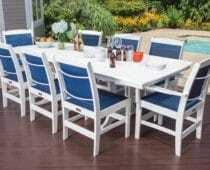 Our team of experienced professionals looks forward to your inquiry and will be happy to provide you with all necessary information regarding your outdoor furniture needs. To receive a hard copy of one of our factories catalogs and coordinating price lists with our discount offerings, please go to our contact us page and select from the “Send me a catalog and price list” section and you will receive the catalogs within 4-5 days. To view one of our factories catalogs simple click on the link either on the factories home page or go to our contact us page and you will see all the factories catalogs ready to be downloaded on the right side of the page, then to get the price list with the discount offerings instantly, fill out the contact information then request what price list you are looking for from the “email me a price list” section and the price list will be sent to your email instantly with our Guaranteed Lowest Prices. 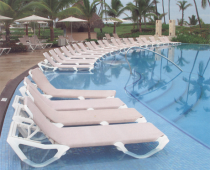 Resort Contract Furnishings would like to note that the prices found under our Resort Line products reflect wholesale pricing, available to the hospitality industry, which considers that purchases will be made in volume. We will extend small additional discounts to customers placing exceptionally large orders. Please contact us if you have any additional questions or concerns regarding order size or discounts. 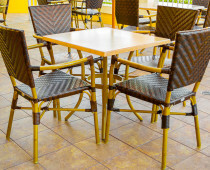 Our team at Resort Contract Furnishings would like to take the time to express our sincerest gratitude for the opportunity to provide you with high-quality commercial outdoor furniture products, always with remarkable value and superior customer service. Our mission has always been to provide our customers with the knowledge, tools, and products they need to help make their business a true success. Please feel free to contact us CLICK HERE during normal business hours at 888-848-9555 to speak with one of our knowledgeable and friendly team members. We look forward to serving you! click here to see our full client list.